Training teachers to focus their attention on positive conduct and to avoid jumping to correct minor disruption improves child behaviour, concentration and mental health. A study led by the University of Exeter Medical School, published in Psychological Medicine, analysed the success of a training programme called the Incredible Years® Teacher Classroom Management Programme. Its core principles include building strong social relationship between teachers and children and ignoring low-level bad behaviour that often disrupts classrooms. 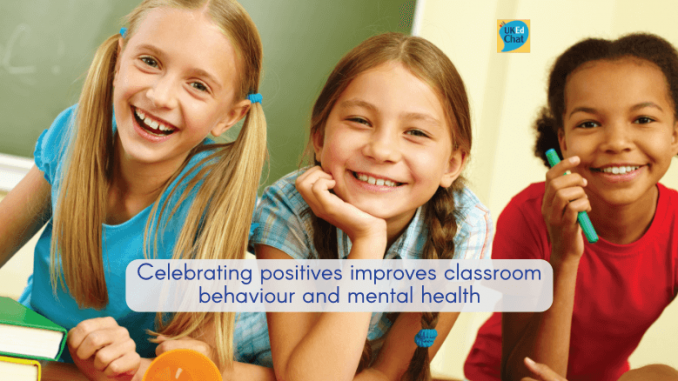 Instead, teachers are encouraged to focus on relationship building, age-appropriate motivation, proactive management of unwanted behaviour and acknowledging good behaviour. The Supporting Teachers and Children in Schools (STARS) study was funded by the National Institute for Health Research (NIHR) and the National Institute for Health Research (NIHR) Collaboration for Leadership in Applied Health Research and Care South West Peninsula, and aimed to promote social and emotional wellbeing, against a backdrop of Government figures that show 10% of children have a mental health condition. The commonest and most persistent mental health condition is severe behaviour problems, and children with “conduct disorder” are at risk of all adult mental health conditions as well as poor educational and social outcomes. The project’s outcomes were measured via a combination of questionnaires filled in by teachers and parents and children to fill in themselves. Researchers also considered academic attainment, and use of NHS and social services. Independent observers sat in on lessons in a quarter of schools who took part, without knowing whether the teachers had undertaken the training. As well as the improvements in mental health, behaviour and concentration, teachers liked the training and thought it useful. Observations suggest that it changed their behaviour and improved child compliance in the classroom. The paper is entitled ‘The effectiveness and cost-effectiveness of the Incredible Years® Teacher Classroom Management programme in primary school children: results of the STARS cluster randomised controlled trial’. It is published in the journal Psychological Medicine.